Dr. Tejaswini Patil Dange concentrates on social issues in her poetry. As a realist she is Frostian in ourlook. Three are no walls between two persons. It is stunning to note that human beings are incapable of rising above petty considerations. These lines obviously display her rationalism remarkably. Dr.Tejaswini Deepak Patil was born on 7th October, 1964.She is an Assistant professor in English. Her research work is based on the poems ofA. K. Ramanujan and Jayanta Mahapatra. She has participated in many national and international seminars and conferences. She has been awarded by State Level Jeevan Gourav Puraskar by Navnirmiti Foundation Ukshi, Ratnagiri, Maharashtra. She has publishedarticles in journals and books. Her Marathi, Hindi and English poems were published in several anthologies.She writes about Nature, social issues, feminist sensibilities and her experiences. 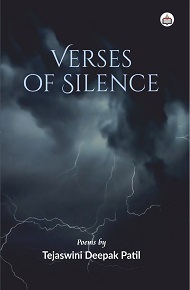 Her first collection of poems, Talons and Nets has also been published by Authorspress, Delhi. The same has been translated into Romanian language by Dr. Ligia Tomoiaga and published as a bilingual book by EIKON Publishers, Bucharest, Romania in Oct. 2017. As a part of social work, she delivered many lectures on gender equality, awareness against female feticide, entrepreneurship development and youth as builders of nation.